Whether you plan to sell in the summer, spring, or winter, you likely know of the few staple "to-dos" to get your space market-ready: cleaning, painting, decluttering, landscaping, and stripping your home of super personal belongings like family photos. But should you be doing more? Probably. 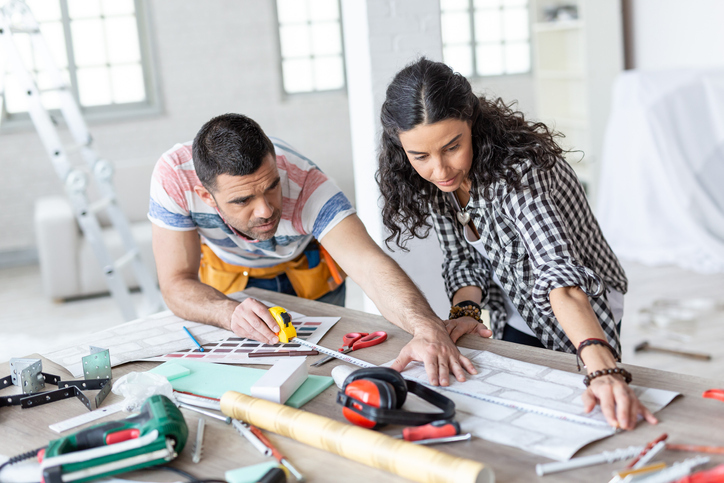 According to Zillow, sellers average 2.2 renovations or improvements to prepare to sell their home, with 79 percent making at least one. And for good reason – nearly a quarter of sellers who make improvements sell above list price, compared with 16 percent of sellers who don't. Upgrade the bathrooms (but not too much). A mid-range bathroom remodel – replacing the toilet, tub and light fixtures, adding a double sink, tiling the floor and hanging some wallpaper – typically results in a $1.71 increase in home value for every dollar spent, if the bathroom is at least 25 years old. But an upscale bathroom remodel – top-end features, full-body-wash shower, bidet – will actually cost a seller, adding 87 cents of home value for every dollar spent.